Stop the press!…….we have a NEW in salon service you’re soooo gonna love. Now we can make your hair smoother, straighter and shinier too………………………. 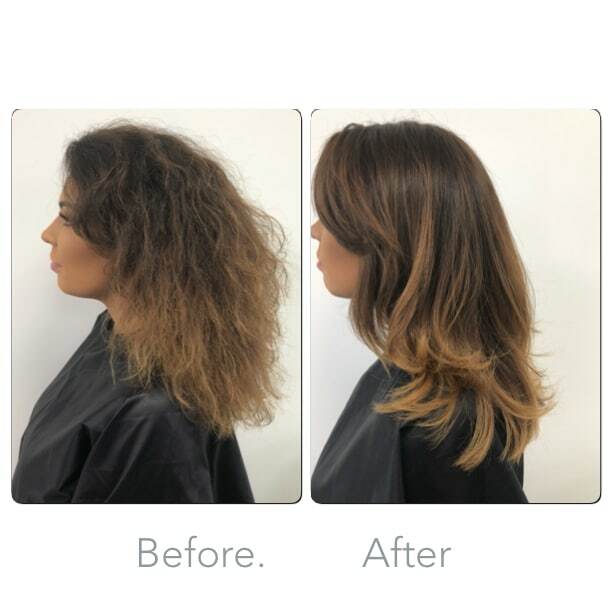 Introducing Nanokeratin, an In=salon 4-5 hour service which will leave your hair smoother or straighter depending which service you want and certainly shiner and more manageable. Synergising beauty, science and well being at the forefront of hair technology, Nanokeratin is a global Bio-Technological pioneering patented Biomimetic technology. An advanced innovative series for a safe bond reformation, soft smoothing and complete smoothing/straightening result. 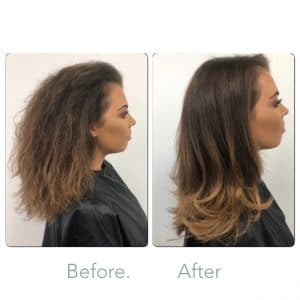 Nanokeratin services take up to 4-5 hours depending on the thickness and length of the hair but once the service has been completed can last up to 6 months after which, due to its non chemical system, your hair will return to its natural state. 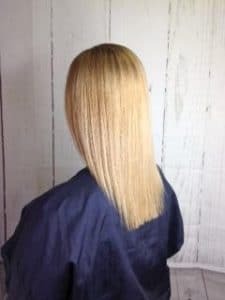 we have various systems to choose from catering for Blonde hair and chemically damaged, coloured hair and natural hair so whatever condition your hair is in we have a solution. 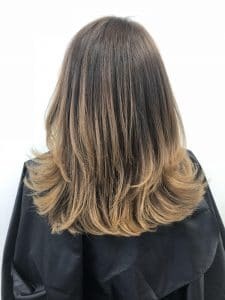 Maintenance is very low, your blow dry time will be reduced and most clients having had it find they rarely use their straighteners unless for curling or creating waves. 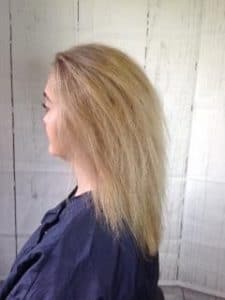 As you can see from the before and after images our models hair was quite wild and woolly before the Nanokeratin service was done, her hair was dry and lacked shiny. 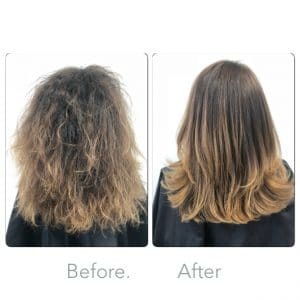 on completing the service her hair was transformed into smooth, shiny frizz free hair. 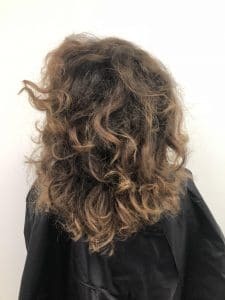 This particular model didn’t want to loose the volume or the curl completely so taking this into consideration we didn’t straighten it completely so she can still leave it to dry naturally and have softer healthier looking curls when she wanted to as well as being able to blow dry it smooth effortlessly. 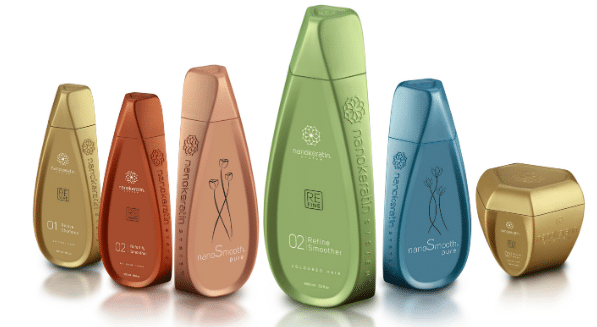 We have two NanoKeratin Stylist that will invite you into the salon prior to your Nanokeratin service where they will talk you through the procedure, assess your hair and give you advise on how to maintain your new smoother hair at home with the NanoKeratin aftercare range included in the service in order to maintain your beautiful new locks at home. For more information please contact the salon and speak to either Emily or Jess on 01384 402890.